If you live in the East Bay Area of California, you can buy flowers (in addition to produce and nuts) through several CSAs. If you don’t know what a CSA is, we highly recommend you do a bit of research on these cooperative farming groups to find out how you can become part of a collective that brings locally sourced food and flowers into households on a regular basis. CSA stands for Community Supported Agriculture, and it’s a structure for farming that allows community members to contribute monetarily to local farmers to help them grow their crops. In return for their investment, CSA participants become members of the farming group and they get first-hand, direct access to the farm’s harvested crops daily, weekly, or at times set by the CSA. The East Bay’s Coyote Family Farm offers one of these CSA groups, and it’s a farm that gives area residents access to beautiful, just-cut flowers that are unmatched. 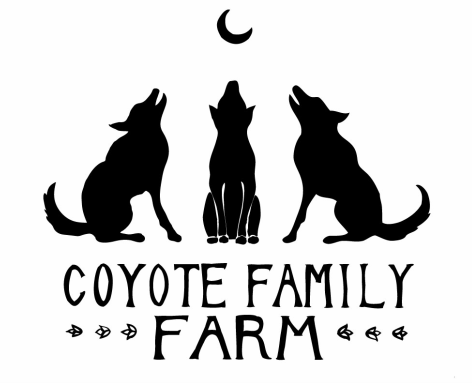 Coyote Family Farm is a three-acre farm that grows a variety of flowers, vegetables, and herbs. Its sits on Slow Creek Ranch, at the foot of Sonoma Mountain, on land that was once a 60-acre dairy farm. For the past three years, Coyote Family Farm has produced yummy, cool and warm-weather food crops as well as beautiful cut flowers. The farm sells its flowers at the Santa Rosa Community Farmers Market on Saturdays, from April to December. Folks who want access to Coyote Family Farm’s flowers can visit the Santa Rosa Farmers’ Market to get their hands on fresh-cut blooms for their home, business, or event. In addition, residents of Penngrove, Santa Rosa, and Berkeley can become members of the Coyote Family Farm CSA and enjoy regular delivery of fresh flowers. You can sign up for the 2016 growing season of the Coyote Grove Family Farm CSA beginning on May 16th. Half-season subscriptions are available before May 1st. To find out more about joining the Coyote Family Farm CSA, so that you can get farm-fresh flowers and food delivered straight to you, we suggest you visit the Coyote Family Farm website. If you live in the East Bay Area of California, you can buy flowers (in addition to produce and nuts) through several CSAs. If you don’t know what a CSA is, we highly recommend you do a bit of research on these cooperative farming groups to find out how you can become part of a collective that brings locally sourced food and flowers into households on a regular basis.CSA stands for Community Supported Agriculture, and it’s a structure for farming that allows community members to contribute monetarily to local farmers to help them grow their crops. In return for their investment, CSA participants become members of the farming group and they get first-hand, direct access to the farm’s harvested crops daily, weekly, or at times set by the CSA. Organic Lavender Farming at Los Poblanos Historic Inn & Farm in Albuquerque, New Mexico 5 Flowers for your Farm Dinner Table Why Grow and Buy Organic Flowers Georgia’s International Cherry Blossom Festival Coming This March!